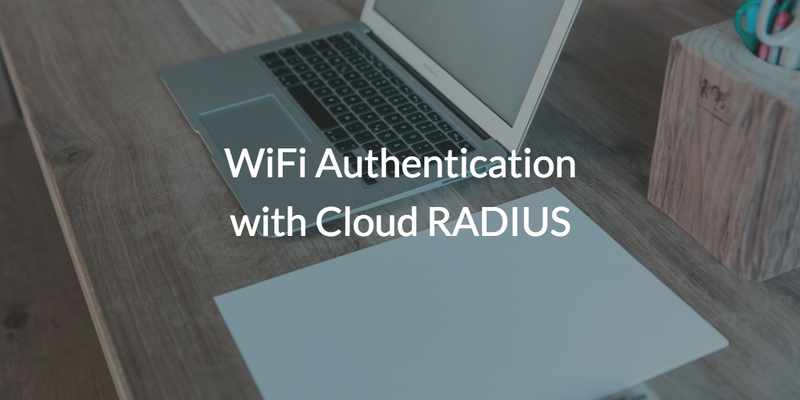 One of the most secure methods of authentication for both wired and wireless networks is with RADIUS. The challenge for IT has been that RADIUS implementations can be difficult to set up on-prem. That’s why a question on the minds of many IT admins is whether or not cloud RADIUS is available. The short answer is that cloud RADIUS is a core component of the JumpCloud platform, but in order to understand how RADIUS-as-a-Service can benefit your organization, we must first outline why IT organizations want cloud RADIUS to begin with. RADIUS is a network authentication protocol that effectively requires that each user authenticate their identities using unique user credentials to gain access to a network. It works by routing user login requests to a dedicated RADIUS server for authentication. Once a user identity has been authenticated against the RADIUS server, by entering their unique user credentials, they are granted access to the network and can subsequently connect to various IT resources. The benefits of this approach are easy to imagine, especially when you consider the alternative is typically a shared SSID and passphrase. The challenge for IT has historically been that RADIUS can be difficult to implement on-prem. For example, IT must first allocate significant capital to purchase the hardware itself (e.g. servers, switches, WAPs, cables). IT must then install the hardware somewhere onsite, then configure wireless access points (WAPs) to point to the RADIUS server. Then it becomes a question of maintaining the hardware and managing it on-prem, which often requires dedicated personnel because if the RADIUS infrastructure goes down, users cannot authenticate and gain access to IT resources. While this workflow may not be a challenge for larger organizations with more mature IT resources, they can represent significant barriers for smaller cloud-forward organizations. That’s why many organizations opt for a cloud RADIUS solution. Of course, there are many cloud RADIUS solutions currently available. However, only one of them is backed by a comprehensive identity management solution with the power to manage far more that just RADIUS authentication. That solution is called Directory-as-a-Service®, from JumpCloud. Cloud RADIUS is a core component included in the Directory-as-a-Service platform. It works in much the same way as traditional RADIUS implementations on-prem. The primary difference is that JumpCloud takes care of the heavy lifting of implementing and maintaining the infrastructure. 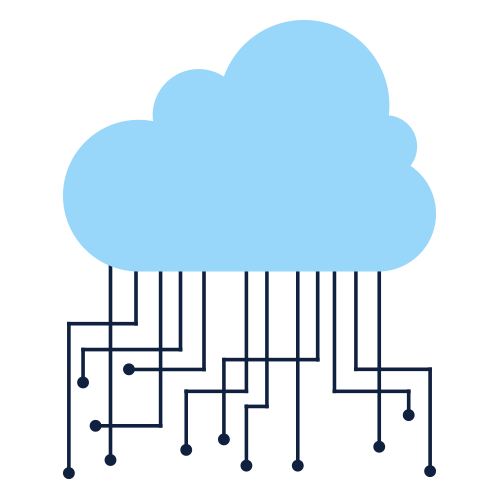 The result is that IT admins can simply point WAPs at JumpCloud’s hosted RADIUS server, and we take care of the rest. The best part is that JumpCloud goes far beyond RADIUS authentication to provide a comprehensive array of user management capabilities for everything from the core user identity, to managing systems (e.g. Windows, Mac, Linux), on-prem applications (i.e. Docker, Jenkins), NAS and Samba file servers (i.e. Synology, QNAP), web applications (i.e. Salesforce, Dropbox), cloud infrastructure (i.e. AWS, GCP) – and a lot more. Contact the JumpCloud team if you are interested in learning more about WiFi authentication with cloud RADIUS with Directory-as-a-Service. You can also sign up for a Directory-as-a-Service account and secure access to your network with RADIUS today. Your first ten users are free forever to help you explore RADIUS-as-a-Service, and everything else JumpCloud has to offer, risk free.